A new study published in the journal Blood suggests that a topical gel could help treat a rare type of non-Hodgkin lymphoma called cutaneous T cell lymphoma (CTCL), by triggering an immune response that kills malignant cells. 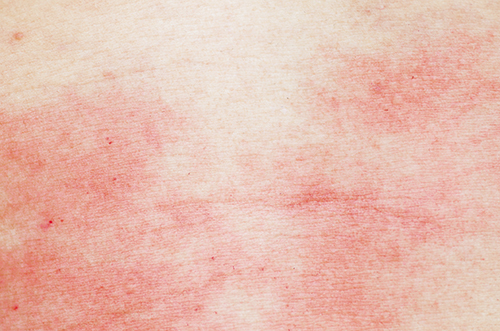 Researchers enlisted 12 patients with early-stage CTCL—each patient had previously received an average of six treatments for this rare type of skin lymphoma. Participants were required to either apply a 0.03% dose or a 0.06% dose of resiquimod gel to skin lesions for a 16-week period—this application stimulates immune cell response by the use of TLR7 and TLR8 pathways. At the end of the 16-week period, the resiquimod gel improved treated skin lesions for 75% of participants; for 30% of participants, skin lesions were completely cleared. Researchers also discovered that 92% of participants saw at least 50% improvement in skin lesions where the gel was not directly applied. Furthermore, CTCL was completely wiped out for two patients who had been living with the disease for over 15 years. The gel reduced the number of malignant cells for nine out of 10 participants. The malignant cells were completely eliminated for three of the participants and a 99.6% reduction was discovered in another patient. Whiteman, H., “Topical drug leads to complete remission for some patients with rare skin lymphoma,” Medical News Today web site, August 7, 2015; http://www.medicalnewstoday.com/articles/297903.php.